Well constructed.New paint and carpet/laminate throughout most of the house.Bathrooms mostly re-done.Living room with wood burning fireplace adjoins Dining room.Kitchen includes new electric range/oven.Casual dining area with built in desk adjoins kitchen.Pantry plus extra storage cabinet - plenty of kitchen storage.1 Bedroom and half bath on main floor. Upstairs has "L" shaped Master Bedroom with lots of square footage, a walk out 4'X16' balcony, and a master bath.2 Additional bedrooms and a bath upstairs.Large Basement family room with built in shelves and hearth for electric heater insert.Large basement bedroom and bath.Extra Large laundry room.Great backyard with room to play or host parties.22'10" X 20' Enclosed Patio with windows on 3 sides.Driveway and additional parking, plus street side parking.Oversize 2 car attached garage. Lots of storage.Roof is approx. 3 years old. Boiler recently serviced. Come see this wonderful house, perfect for those looking for a little extra space. 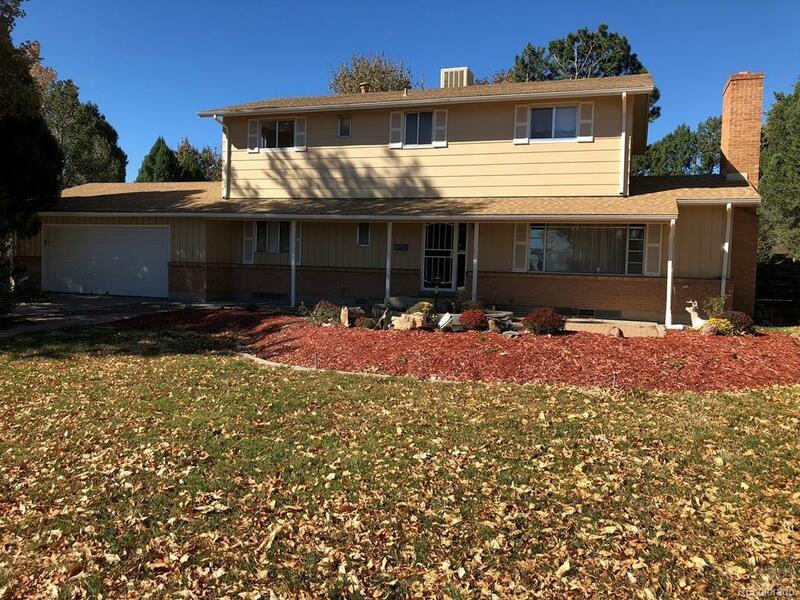 Offered by Southern Colorado Real Estate Brokers.